We would love to hear from you, to check we are free on your day, either phone us on 01202 896284 or e-mail us using the form below. 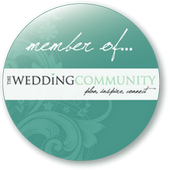 We are very lucky to be booked 1-2 years ahead of the day but before you get in touch make sure that you've checked out our Featured Weddings so you are aware of our unique style, had a look at our Collections so you know what we offer and how our pricing is structured and what our lovely couples have said about us so you know what to expect! IMPORTANT: We respond immediately with a confirmation e-mail, if you have not heard from us within 8 hours please check your spam filter for the message or call us! We look forward to hearing from you and finding out about your wedding plans! We would love to hear more about your day!